My favorite thing this season! Can't stress enough how much I love these socks! Right now MUK LUKS ® Heat Retainer Thermal Socks | Free Shipping ONLY $6.99. 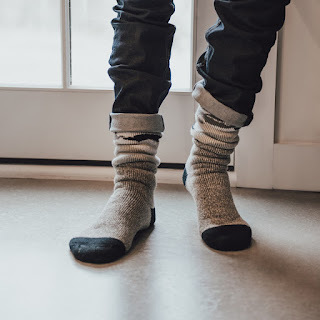 Keep the cold out and the warmth in with MUK LUKS® Heat Retainer Socks. Free. US only. Seller usually ships within 2 business days. Ships no later than Fri, Dec 28.